Trestles | Fresh Corvina this week! 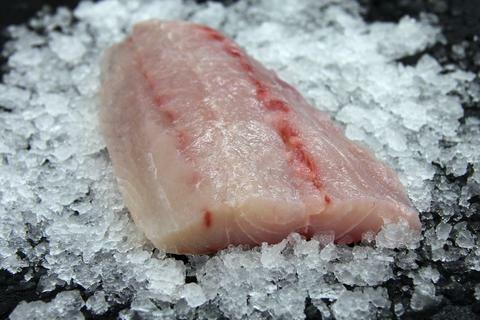 Corvina has a mild, sweet taste with firm, large flaked flesh. Pinkish when raw, but cooks up white. Corvina also known as Gulf Corvina is closely related to the drum and croaker. Corvina inhabits warm-temperate and tropical waters. Most of the product sold in the United States comes from Central America. Corvina is silvery, blue-grey on its dorsum with dark dots on the scales and yellowish fins. Corvina is a white firm fish similar to sea bass. They make the best beet salad, shrimp, and oysters I’ve ever had. They even cut open the king crab legs so you don’t need to do it yourself. Server Brittany is the nicest and fastest server I’ve had!